Simone Biles will lead the heavily favored U.S. women's team, and could win a record-breaking fourth world all-around title at the world championships in Doha, Qatar. 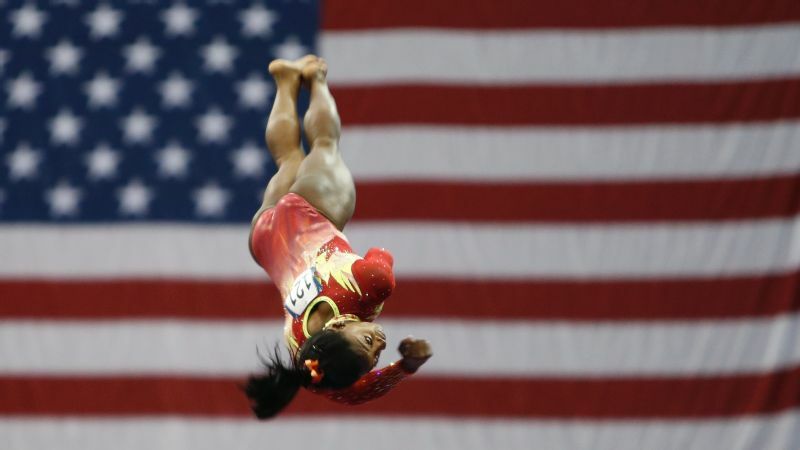 The best female gymnast of all time. The best male gymnast of all time. And a potential preview of what the 2020 Olympics could look like. Beginning Thursday, the top gymnasts in the world will compete in Doha, Qatar, at the 2018 World Artistic Gymnastics Championships. While the American gymnastics headlines have been dominated by the sexual abuse case of disgraced former USA Gymnastics team doctor Larry Nassar and all of the necessary and extensive fallout from it, the U.S. athletes will be competing in Qatar amid all the chaos -- and, remarkably, are looking like they will excel on the world stage. 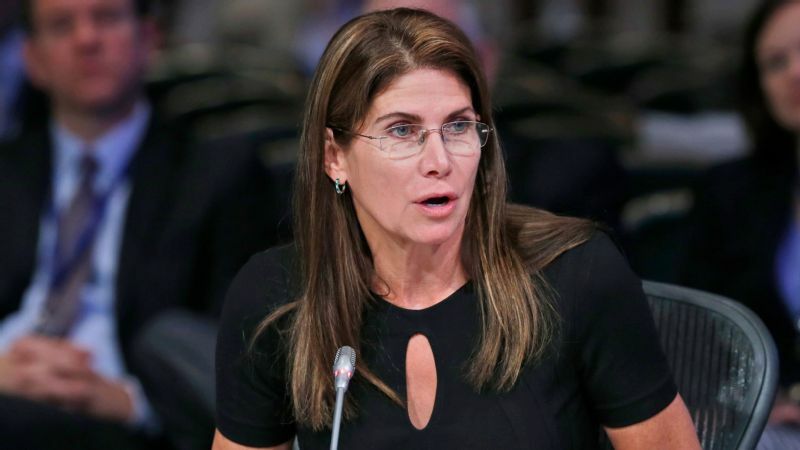 Around the globe, this world championships is important as it's the first to include a team competition since 2015, and because the top three men's and women's teams each will earn an automatic berth into the 2020 Tokyo Games. 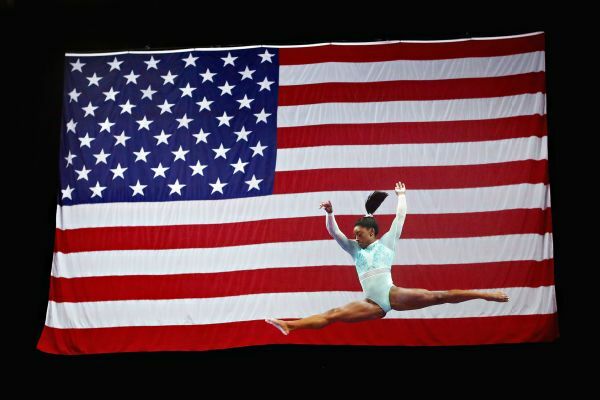 Biles, 21, already was considered the GOAT of women's gymnastics after the Rio Olympics, and now she's back ... and somehow better than she was in 2016. 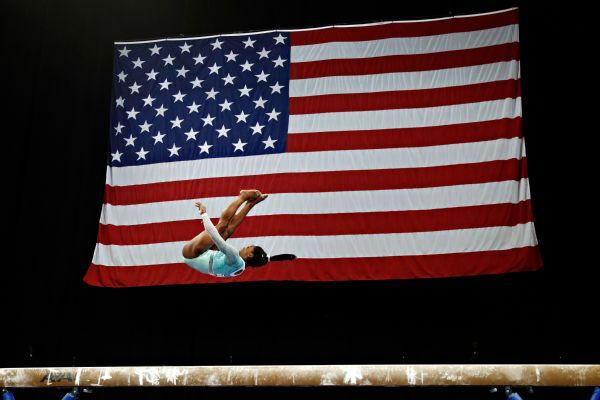 The sport has never seen a gymnast as good as Biles, and if all goes as it should in Doha, she will win a record fourth world all-around title, unveil a new vault that no woman has ever performed, earn up to four individual event medals -- and lead the team to gold as well. Don't miss a single routine of hers. Much of the attention will be centered around Biles -- and for good reason -- but even without her, the U.S. women's team would be the favorite to win another title. The Americans have won every team gold since 2011, and this year they boast 2017 world all-around champion Morgan Hurd as well as Riley McCusker, who's beaten Hurd this year. During qualifications, only the top two scorers on the U.S. team will advance to the all-around and individual event finals. Assuming Biles will nab the first spot, the U.S. women will be competing within their own team to grab the second one -- and because the U.S. team is so strong, whichever gymnast does qualify likely will be the silver medalist in the all-around finals. 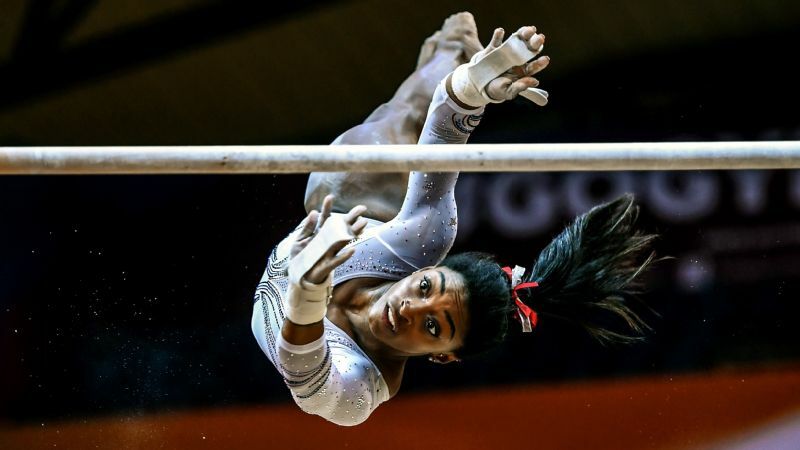 Biles won't be the only superwoman competing at worlds. Oksana Chusovitina, now 43, is on the start list as an individual competing for Uzbekistan. (Her son, Alisher, born in 1999, is older than everyone on the U.S. women's team except Biles.) Chusovitina won her first world titles in 1991 -- on floor and with the Soviet team -- and could make the vault finals in 2018. Her most recent vault medal was in 2011, and she's a long shot to end up on the podium, but the fact that she's even still competing is simply astounding. Joining her in the extremely exclusive mom's club is 24-year-old Russian Aliya Mustafina, a seven-time Olympic medalist, who gave birth to her daughter, Alisa, in June 2017. Mustafina, the 2012 and 2016 Olympic champion on bars, is a contender to medal on her best event, and she will be instrumental as a team leader too. The often-inconsistent Russians should finish second in the team finals if all goes well. Japan's Mai Murakami missed an all-around medal at the 2017 world championships by just one tenth of one point -- and might end up with one this year. The three-time national champ won two World Cup all-around medals earlier in the season, and she and Russia's Angelina Melnikova are perhaps the best two non-American all-around medal contenders. Murakami is also the defending world champion on floor, where she does tumbling that anyone in the world not named Simone Biles would deem incredibly difficult. Murakami could also lead her team to a historic result. Japan will challenge the U.S., Russia and China for a spot on the podium, and if the Japanese women end up in the top three, it'd be their first world team medal since 1966. The men's competition will feature the greatest male gymnast of all time, but in limited capacity. Six-time world all-around champion Kohei Uchimura won't compete for an all-around title for the second year in a row because of an ankle injury suffered in September. He is still expected to do several events, and he has indicated that his main goal is to help his Japanese team win gold. Japan, with Uchimura and eight-time world medalist Kenzo Shirai, won both the most recent world title in 2015 and Olympic title in 2016. But China had the top two all-around competitors in the world last season in Xiao Ruoteng and Lin Chaopan, who placed 1-2 at the 2017 worlds and are back this year. The team finals should be an epic battle between these two countries -- and with Russia also a potential challenger, it'll be a lot of fun to watch. The inexperienced U.S. men's team is led by five-time national champion Sam Mikulak, and though the Americans are underdogs to end up on the team podium, this could be the year that Mikulak earns his first all-around or individual event medal. The two-time Olympian has had unlucky errors during major competitions throughout his career -- he was injured and competed only on high bar at last year's worlds. At the Rio Olympics, though, he qualified into the all-around, floor and high bar finals, finishing seventh, eighth and fourth, respectively. One of those events could be his ticket to an individual medal in 2018. 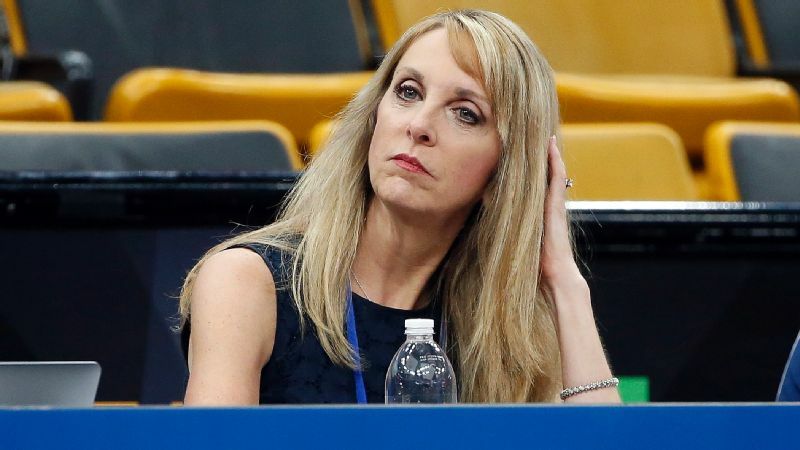 Where are the adults at USA Gymnastics?